JNTUH University Examinations Scheduled on 21-11-2015 are Postponed and Rescheduled. JNTU hyderabad b.tech B.Tech III yr-I sem, B.Tech IV yr-I sem and B.Pharmacy IIIyr-I sem exams on 21st november are postponed. 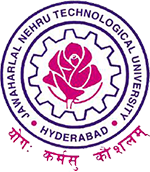 Sub:- JNTUH – Examination Branch –Postponed and Rescheduled dates University Exams dated 21-11-2015–Reg. It is hereby informed that the University examinations Scheduled on 21-11-2015 are Postponed and Rescheduled as per the details given below. Kindly communicate to all the students immediately. Your cooperation is highly solicited in this regard. can any one send supply physics questionsof r13 ……………………. i thnk supply is also on 1st december ,wt abt dat..
Is this a correct information…???? yes. For more Info Visit JNTUH Official Website or official notification.